Celebrate Day of the Dead with this wonderful skeleton decor! 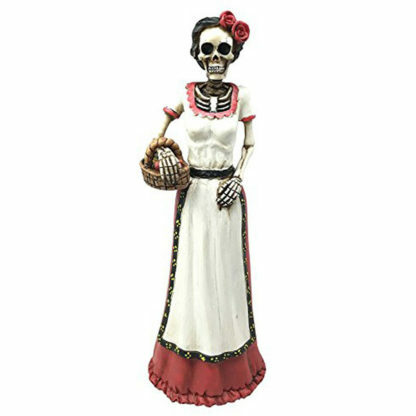 Day of the Dead (Spanish: Día de Muertos) is a Mexican holiday celebrated throughout Mexico, in particular the Central and South regions, and by people of Mexican ancestry living in other places, especially the United States. It is acknowledged internationally in many other cultures. The multi-day holiday focuses on gatherings of family and friends to pray for and remember friends and family members who have died, and help support their spiritual journey. In 2008 the tradition was inscribed in the Representative List of the Intangible Cultural Heritage of Humanity by UNESCO.